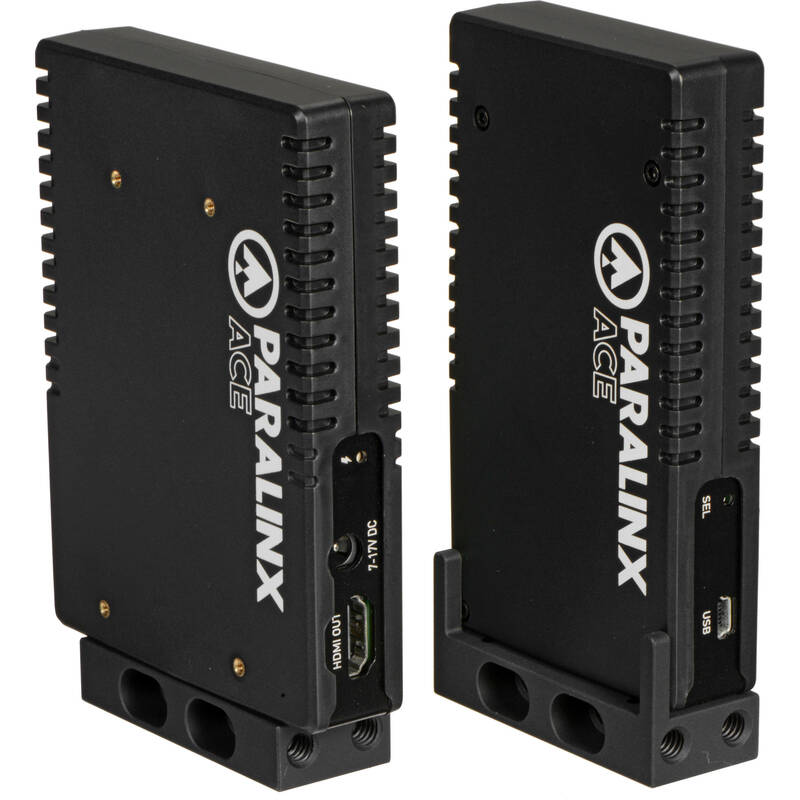 The cutting-edge Paralinx Ace is a short-range wireless transmission solution for professional filmmakers. It offers up to 300 ft line-of-sight uncompressed 1080p60 transmission in real time with zero latency (less than 1 ms). This Ace HDMI Deluxe Package includes one transmitter and one receiver, along with all the required mounting brackets, cables, and a sleek, custom-designed Pelican case. The transmitter is capable of multicasting simultaneously to up to four receivers, so you can add additional receivers at a future time and simply pair them via an on-screen display. The units are compact and lightweight and feature rugged aluminum and ABS plastic enclosures. 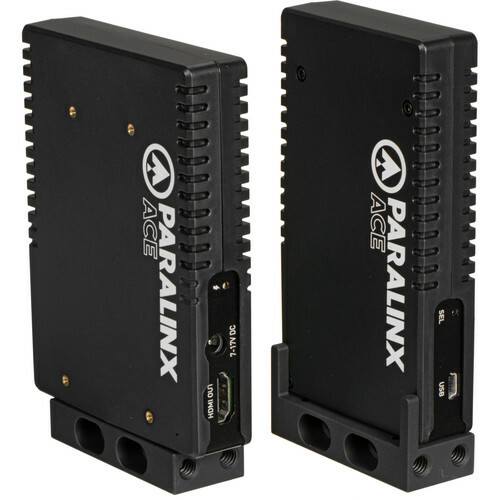 They offer 1/4"-20 mounting threads, as well as threaded inserts for attaching optional Paralinx Ace onboard battery plates, available in BP-9, LP-E6, NP-F, and BP-U versions. Box Dimensions (LxWxH) 17.6 x 13.4 x 4.5"